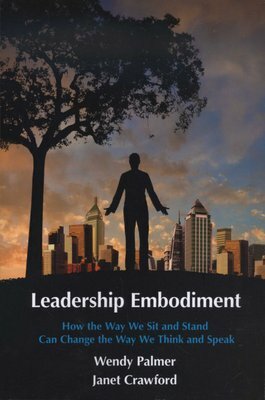 Many leadership books present models for thinking and speaking, but very few address the role of the body in leading effectively. Yet, a great deal of the effect we have on others is carried by our physical presence. Our body postures hold the key to lowering emotional reactivity, while increasing our power, resilience and flexibility. Leadership Embodiment delivers a practical "user's guide" for effective embodied leadership, enabling practitioners to: Project a powerful, open and expansive leadership presence Create an inclusive atmosphere for collaboration and team work Receive feedback and listen from a place of open curiosity, and Stand their ground and speak the truth in the face of pressure Leadership Embodiment techniques are based on principles from the non-aggressive martial art of Aikido, mindfulness practices, and posture awareness. They are designed to mitigate the impact of the stress and intensity inherent in leadership and daily life-like getting through a traffic jam, a promotion, a wedding, the loss of a job, winning a competition, making a production deadline, rallying a team after a loss, or making a product pitch. All leaders, be they CEOs, line supervisors, parents, consultants, care givers, administrators, teachers, coaches . . . can use these simple practices to learn to act with power, skill, and compassion. In part one of the book, Wendy Palmer offers simple postural practices that broaden our perspective, enhance interconnection and build confidence, accompanied by illustrations by Jen Mahoney. 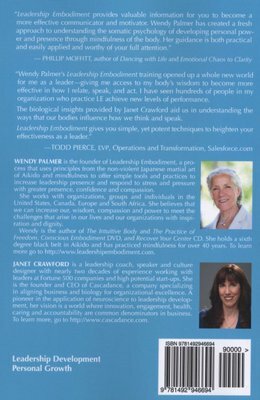 In part two, Janet Crawford pulls from cutting edge research in neuroscience and evolutionary biology to offer a biological explanation for the efficacy of the Leadership Embodiment techniques.